2011 is pretty much in the books and behind us now, however! 2012 only brings the best out of Australian Poker and this year, like any year Melbourne is the place to be in January. 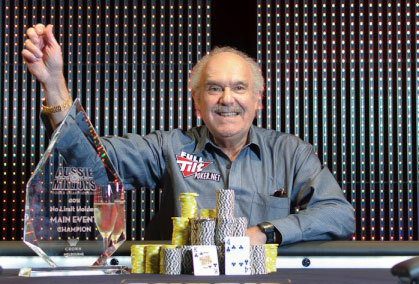 The 10th Anniversary of the Aussie Millions. Top class poker players from around the world will gather in Melbourne this January to compete for an estimated AUD$22,000,000 in prize money. Let’s face it, Melbourne in the summer, Australian Open Tennis, The culture, The Cafes and Restaurants, The world class Crown Casino and THE AUSSIE MILLIONS! It doesn’t matter where in the world you are, if you are a poker player, you will love the Aussie Millions. This tournament and the atmosphere is often touted the “Best Poker Tournament” in the world. The 100k and 250k Challenge is back and even a Chinese Poker Event has been added to the Schedule! Combine this with the juiciest cash games during the tournament and you have a recipe for fattening your back pocket. 1. William Hill Poker – UK Based poker room which has been in the gaming industry longer than most people have been alive. They have created an abundance of ways for you to get to Melbourne’s Crown Casino in January for next to nothing. Using All Aussie Poker’s Bonus Code will also get you 200% up to $1250 on your deposit. 2. 888poker – 888 ambassador Shane Warne has already confirmed that he will be at the royal battle. Will he take the crown or will you? All it takes is $1.10 to play for your seat in the Qualifier. All Aussie Poker Bonus Code will also get you 100% up to $400 on your deposit. So, what are you waiting for? Get on, give the Aussie Millions Satellites a crack and we will see you in Melbourne! Will you be the next David Gorr in 2012?